According to a recent article in the National Post, over $350 million has been spent to clean up an abandoned mine in the Yukon with no actual work being done at the site. 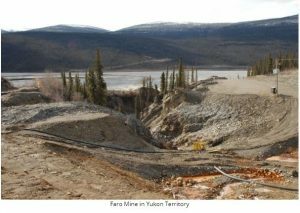 The Treasury Board of Canada’s annual report revealed that no actual remediation has occurred at the Faro Mine in Yukon over the past decade although considerable sums of money have been spent on studying and planning. Classified as one of Canada’s largest contaminated site, the Faro Mine covers 2,500 hectares (6,200 acres). The mine is located 15 kilometres (9 miles) north of the Town of Faro in Yukon Territory. The mine operated from 1969 to 1998, when its last operator declared bankruptcy and abandoned the site. The mine site has approximately 70 million tonnes of tailings and 320 million tonnes of waste rock that require remediation to protect human health, as well as the local land, water and wildlife. 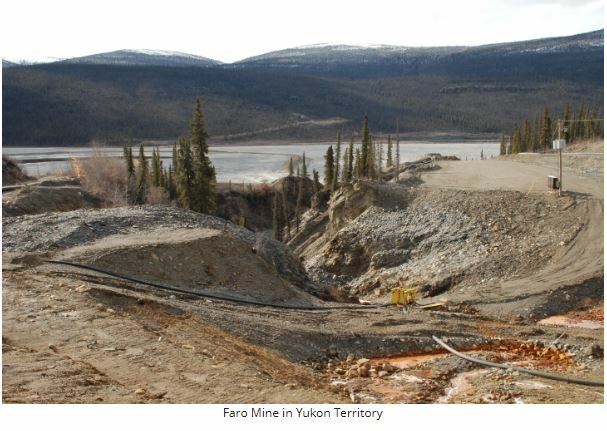 The remediation of the Faro mine site is being led by the Government of Canada and the Government of Yukon. This includes representatives from Indigenous and Northern Affairs Canada’s Northern Contaminated Sites Program and from the Assessment and Abandoned Mines branch of the Government of Yukon’s Department of Energy, Mines and Resources. The financial responsibility for the site resides with the Government of Canada who provides funding for care and maintenance operations and remediation planning through the Federal Contaminated Sites Program. “The biggest problem has been figuring out what to do,” said Lou Spagnuolo, the Vancouver-based Faro mine remediation project director for Indigenous and Northern Affairs Canada (INAC), which has the lead on the mine clean-up, and is also working with the Yukon government and affected First Nations communities. Between 2003 and 2009, more than 100 technical studies and assessments were undertaken, and 12 plans created to deal with various levels of government and affected communities. A remediation plan was supposed to be in place by 2011. In 2009, remediating the site was projected to take another 40 years and cost $450 million, according to a statement made at the time by a committee of senior officials from Indian and Northern Affairs Canada (as it was known at the time), the Yukon Government, Selkirk First and Ross River Dena Council. Parsons Corp., a California-based engineering and construction giant, recently won a $58-million contract to provide care and maintenance at the Faro mine site over the next four years. Before Parsons, Denison Mines Inc. had the contract for $32 million. These numbers are out of whack with the Treasury Board of Canada annual reports, which indicate that since 2005, just over $29 million has been spent on care and maintenance at the Faro mine, while more than $241 million has been spent on remediation. The Yukon Conservation Society, a local environmental non-profit, is calling for an audit of Faro mine spending. “Canadian taxpayers have already spent more than a quarter-billion dollars, and nothing has happened,” said Lewis Rifkind, the organization’s mining analyst. “There hasn’t been any remediation or results on the ground. We have no idea where the money has gone, and they’re still issuing contracts like crazy,” he added. Spagnuolo, the Faro mine remediation project director, estimates that $150 million has been spent on care and maintenance at Faro. Annual monitoring, regulatory compliance and site assessments, which are not included in care and maintenance contracts, have cost another $60 million, he said. Addressing problems at the deteriorating site, including installing a new water treatment system and covering a section of waste rock that was releasing contaminates, have cost an additional $60 million. The remaining $80 million went to “overhead,” said Spagnuolo, including First Nation consultations and government salaries. Consulting costs of the Faro mine remediation include the $82 million paid to CH2M Hill since 2011, according to the Yukon government’s contract registry. The current timeframe for a remediation plan is 2018. It is anticipated that the plan will include re-sloping the waste rock piles, installing engineered soil covers over the tailings and waste rock, and upgrading the contaminated water collection and treatment system. If the plan is approved and the federal government agrees to foot the bill, actual remediation activities are expected to begin in 2024 and take about 40 years to complete.